Attention filmmakers! Please submit your 30 second PSA video submissions directly to Pixie Monroe, TNO at treatnoworg@gmail.com no later than November 15, 2015. Spot needs to clearly identify selected category, contain accurate statistics and send a positive, hopeful message. 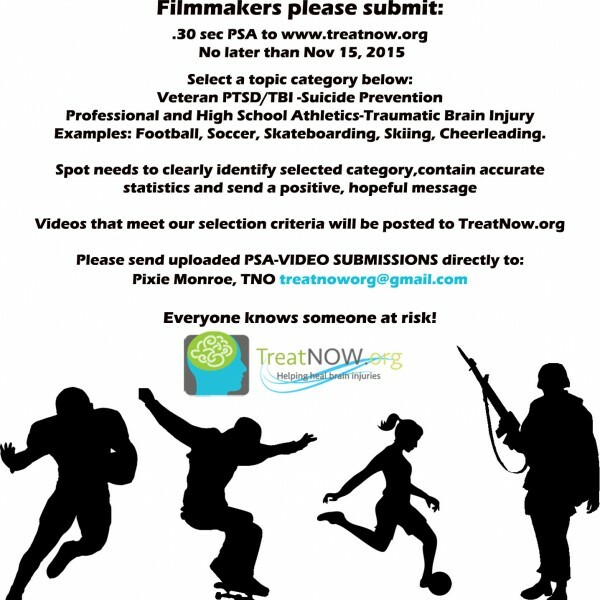 Videos that meet our selection criteria will be posted to the TreatNOW.org website! Everyone knows someone at risk!